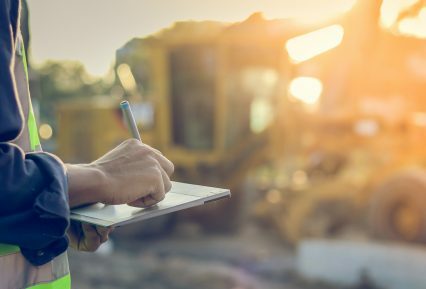 Adjudications, which force employers to make payments under construction contracts even where there is a dispute over the value of the work, could become far less popular following an Appeal Court decision. Under the Construction Act 1996, a contractor can demand payment for work completed. If the employer does not issue a valid ‘payment’ or ‘pay-less notice’, the employer is obliged to make the requested payment, irrespective of any dispute over the value of the work done. The payment provisions were included in the Construction Act to improve cash flow in the industry. Unfortunately, some contractors have used them in conjunction with an adjudication to force employers to make large payments, despite disputes over the value of the work – colloquially known as “smash and grab” adjudications. Employers have often had to wait until the completion of the project, which may be months or years later to recover any over-payment. In the case in question, Grove Developments had appointed S&T (UK) to build a new hotel at Heathrow Airport. S&T requested payment of £14 million more than the most recent valuation of the works, and subsequently alleged that Grove failed to issue a valid payment or pay-less notice. S&T took the employer to court to demand payment. See Brunel News, April 2018. In court, Mr Justice Coulson ruled that Grove should pay the full amount requested. However, he also ruled that Grove could challenge the value of S&T’s payment through a separate “true value” adjudication. Success in this adjudication would result in S&T being required to pay back any over-payment. This decision meant that employers might be able to recover any overpayment far quicker, discouraging opportunistic adjudications by contractors. S&T appealed the ruling, but in the latest chapter of the smash and grab phenomena, the Court of Appeal backed the first court’s decision. It ruled that Grove was obliged to make the payment requested, but that it could commence a true value adjudication immediately after. Reports on the case have been published by CMS Law-Now, Gowling WLG, and DLA Piper. Brunel provides a wide range of PII broking services to construction professionals. Click here to find out more or call Jonathan Filer on +44 (0)117 325 0752.